Your home is one of the most important things you can insure, however so many people think nothing will happen to them or if they do purchase insurance, many simply choose the cheapest quote without a second thought. Whether you’re a first time home buyer or you have existing cover in place, please speak to Prudens Financial Protection as we can access Insurance companies in the UK to provide you with a range of Buildings & Contents cover including some 5 Star Defaqto rated policies. If your property is mortgaged, the lenders will require Buildings Insurance to be put in place for the property that you own or let out. 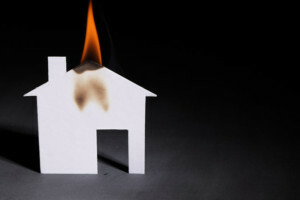 Not having a policy in place (that is acceptable by the lender) could put your mortgage and your new purchase at risk. We will help you find the most suitable policy that is competitive, covers the things that matter most and provides peace of mind. If you are a Landlord, we can also provide cover which is specific to the rental sector.You might be particularly interested in obtaining Accidental and/or Malicious Damage by tenant(s) cover. Likewise, most landlords when asked would like to know their rental income is guaranteed.Therefore, we can obtain Rent Guarantee and Legal Expenses cover within the Buildings and/or Contents Insurance policy. Do you have multiple rental properties? If the answer is yes, please contact us as portfolio’s can attract additional premium discounts. Finally, not every Building is “standard”… therefore if you’re property is in a high risk flood zone or maybe made from a non-standard construction, we can still look in to these areas too. Should you have a need for non-standard buildings & contents insurance, you will be referred to a third party provider. Neither Prudens Financial Protection Ltd nor First Complete Ltd is responsible for any advice provided by a third party.